Dr Kimberly McClure Brinton is a Bethany native who knows that you really CAN go home. She has a BS in Animal Science from the University of CT and her DVM from Auburn University (WAR EAGLE!!). She loves mixed practice although it gets hectic at times & has particular interests in soft tissue surgery, dermatology, geriatrics, small ruminant (goat & sheep) medicine & surgery and she loves cows! She has a small backyard poultry flock, has 2 cats, sheep and goats, and two deaf dogs Harriet & Allie. She is a member of Trinity Evangelical Free Church, Christian Veterinary Mission, member of the Bethany Lions Club, past president of the New Haven County Veterinary Medical Association, President of the Veterinary Management Council of Connecticut and is a former instructor at Quinnipiac University. She loves hiking, gardening, reading and really wants to see Bethany's Black Bear on one of her walks around Lake Chamberlain! earned her DVM from Cornell University. 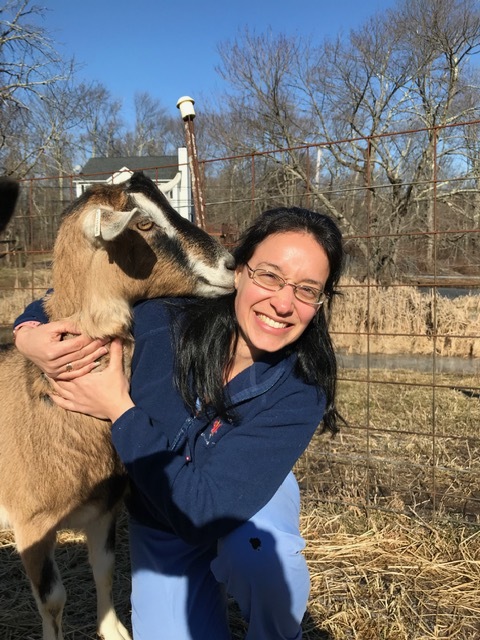 She enjoys working with all species, and her particular professional interests include small ruminant and camelid medicine and surgery. She has two orange cats, and her heart belongs to her family's yellow lab. In her spare time, she enjoys spending time outside hiking, camping, and skiing. 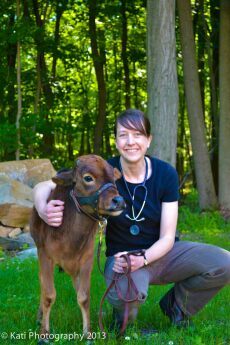 Dr. Michelle Taddie grew up in rural western Pennsylvania, which fostered an interest in both small and large animals. She attended veterinary school at the University of Pennsylvania and graduated in 2016. 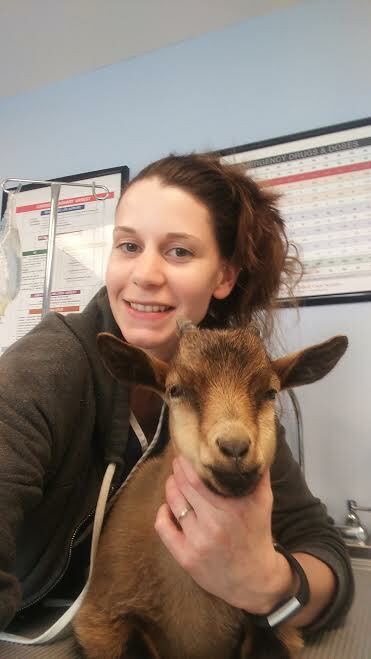 Her professional interest and passion includes small ruminant medicine, although she enjoys working with all species! In her spare time she can be found running the local trails and roads, tackling the next book on her list, or cheering for whichever Pittsburgh sport team is in season. She looks forward to meeting and helping you and your loved ones strive for a long healthy life together. Dr. Chelsea Holman decided to become a veterinarian the day she finished the novel "All Creatures Great and Small" by James Herriot. She fully recommends that book to anyone who enjoys animals. 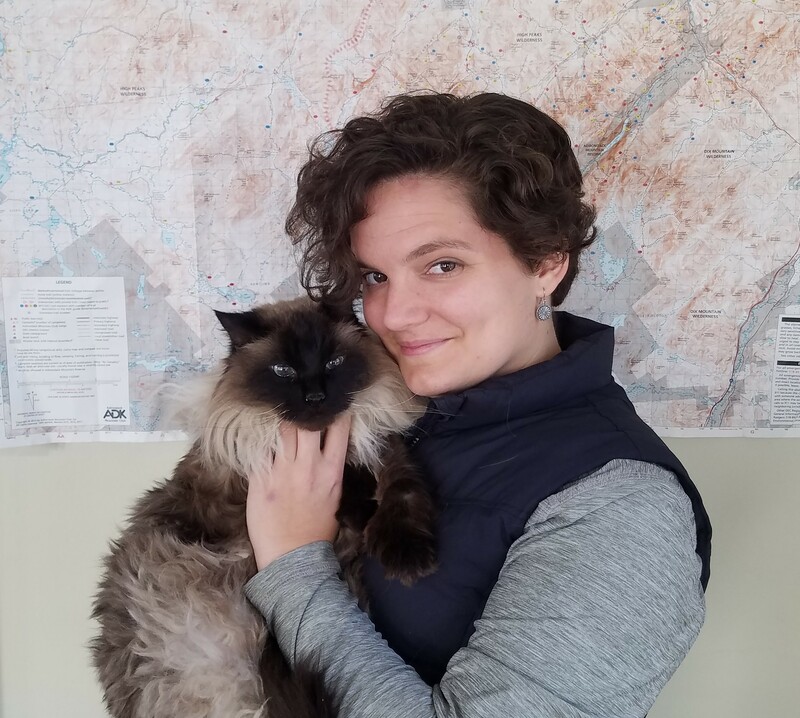 She attended veterinary school at Ross University and has been slowly moving east ever since graduation: starting in Illinois, then to New York and finally to Connecticut. She is happy to be close to the ocean where she likes to surf, and the mountain ranges where she can snowshoe, backpack and rock climb when she is not helping animals. Her two cats, Mufasa and Siren, have allowed her and her boyfriend to share a small apartment in Bridgeport for endless catnip and occasional chin scratches. Someday, she hoping they may allow her to share the apartment with a dog-friend as well. Dr. Holman has many medical interest, but in particular likes to discuss everyday particulars of preventative medicine, She looks forward to meeting your furry loved-ones in all shapes and sizes. 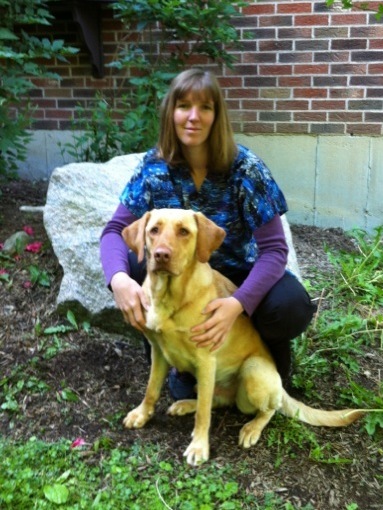 Angie Reich is a certified veterinary technician and joined CCVS in November of 2014. She has been in the field of veterinary medicine since 1990. She is originally from Iowa and received her BS degree from the University of CT. She enjoys spending time with her family, friends, furry companions and a back yard full of honey bees. Her interest are antique restoration, playing recreational volleyball, and mentoring people on how to care for their pets so that they live a long and healthy life together. Deb is our head receptionist. She has been an animal lover all her life. She has a special interest in our Connecticut wildlife and in helping to preserve our native treasures. She is grateful to be sharing her life with her cat, Alien, and 2 rescue Ornate box turtles, Lesson and She. Deb has been with Dr. Kim since the beginning of the practice (with a brief intermission) and enjoys meeting and greeting all our clients! When she is not at the office, she can be spotted out hiking on the many beautiful trails in our area or keeping a close eye on the birds and wildlife that visit her apartment balcony. 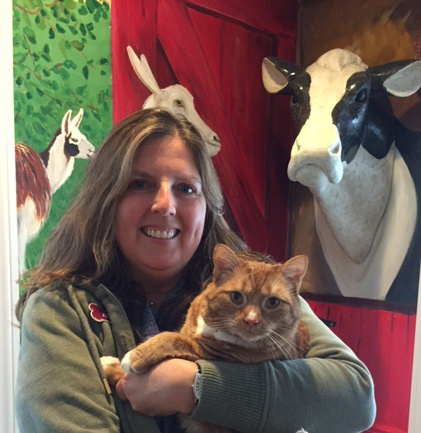 Cynthia is a veterinary technician who went to UConn and studied Pathobiology and Animal Science. She has worked in the veterinary field with small animals and horses and is enjoying working at a mixed veterinary practice. She loves riding horses, working on her family's horse farm and spending time at the race car track with her husband. She has four children - two boys and two girls - who keep her very busy! Blair joined our team at CCVS in December of 2014. 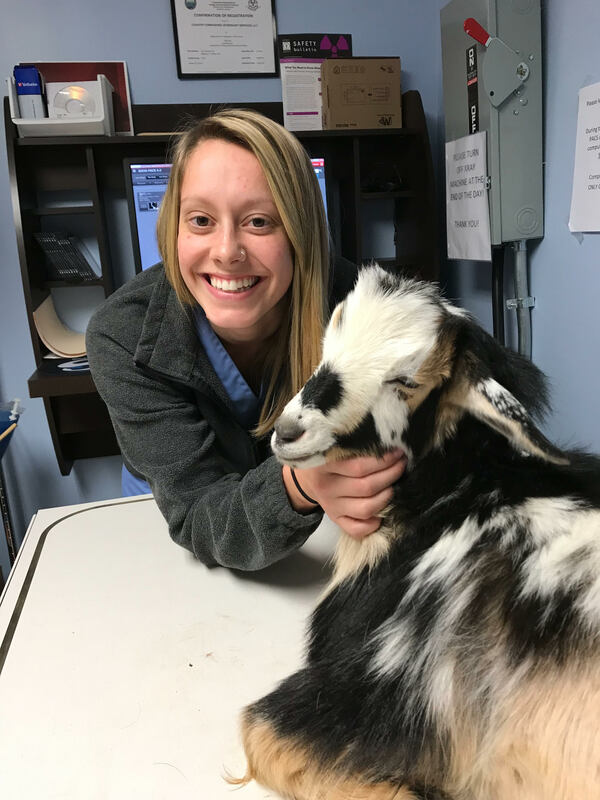 She attended Southern Connecticut State University for two years and transferred to Norwalk Community College to join the Veterinary Assistant Program. She has been a technician for 5 and a half years and wanted more knowledge in Large Animal Medicine. She recently moved to Seymour in 2014 with her husband, Patrick, her dog Ruby Doobie, and her two cats Alice and Moe. When she is not working, she loves music, art, photography, gardening, outdoor activities and spending time with family and friends. Tonya Joined the practice in April 2017. 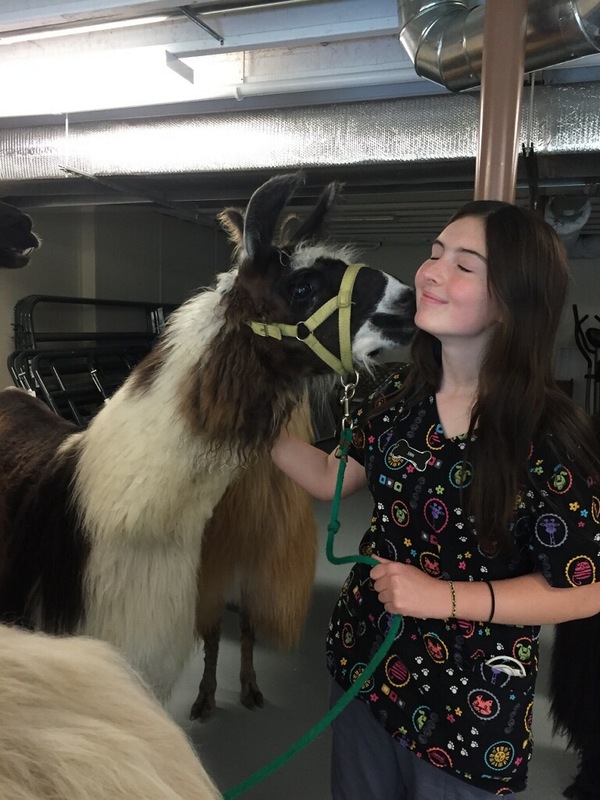 She started her veterinary career in 2010 at a small animal practice, growing up with horses she wanted to expand her knowledge into the large animal field. She is currently attending Penn Foster online to earn her degree as Veterinary Technician. Tonya lives in Sandy Hook with her husband Alex and her fur babies; Remy a Rhodesian Ridgeback, Bishop an Australian Cattle Dog mix, Bam a Domestic Long hair, and Carmella a Domestic Medium hair cat. She also shares horses, Luke and Sam, with her mother. Outside the practice Tonya enjoys gardening, cooking, hikes, music, and most importantly spending time with her family and friends. Megan joined the practice in December 2017. She started her career as a veterinary technician in 2014 where she worked in a hospital as an equine vet tech. She went to college at SUNY Cobleskill and has her bachelors in Animal Science. Growing up with horses and having a lot of large animal veterinary experience, she thought a mixed animal practice would be a great place to further her large animal knowledge and gain more small animal experience. Megan lives on a farm in Brookfield that she and her husband Joe purchased together in June 2016. When she is not working, Megan is typically found hiking with her three dogs, Sadie and Levi the Australian Shepherds, and Kota a Siberian Husky; or out at the barn with her Quarter Horse Jax, and her two Nigerian Dwarf goats Jelly & Beans. Megan’s interests other than her animals include working out, and spending time with her family & friends. Sara joined our practice in January 2018 as a veterinary technician and receptionist. Sara started her career in 2011 at a small animal and exotics practice and then moved to a specialty and emergency veterinary hospital. Sara is looking to expand her knowledge of large animal medicine, she will be taking her licensure exam this year. When she is not working Sara loves spending time with her three German Shepherds, Sandi, Brutus, and Arya, Mini Australian Shepherd, Angie, her Nigerian Dwarf goats, Sully and Mike, her flock of chickens. Sara is excited to be a part of an amazing team and cannot wait to meet you and your beloved pets. Alyssa has rejoined our practice after a short break to open her own horse farm and pet sitting business, where she gives riding lessons and enjoys the company of her equine companions. Alyssa has a wide knowledge of mixed animal veterinary care and is always willing to help our patients. She shares her home with her husband Joe and three Australian Shepherds, Cobalt, Cheyenne, Sterling, and many cats. We are so happy to welcome her back. Diana came to our practice in January 2019. When growing up she always knew that she wanted to be in the animal field. After 16 years of small animal experience, as a veterinary technician, she wanted to expand her knowledge into large animal. When not working, she enjoys walking, running, listening to country music, being with family and enjoying weekend get a ways. She very excited about being apart of our team. Erin has been with us since July of 2015 as our hospital attendant. You will find her working throughout the hospital helping and holding various animals for our staff. She recently graduated from Nonnewaug High School where she was taking classes in animal science with a concentration in veterinary technology and an a member of the FFA. 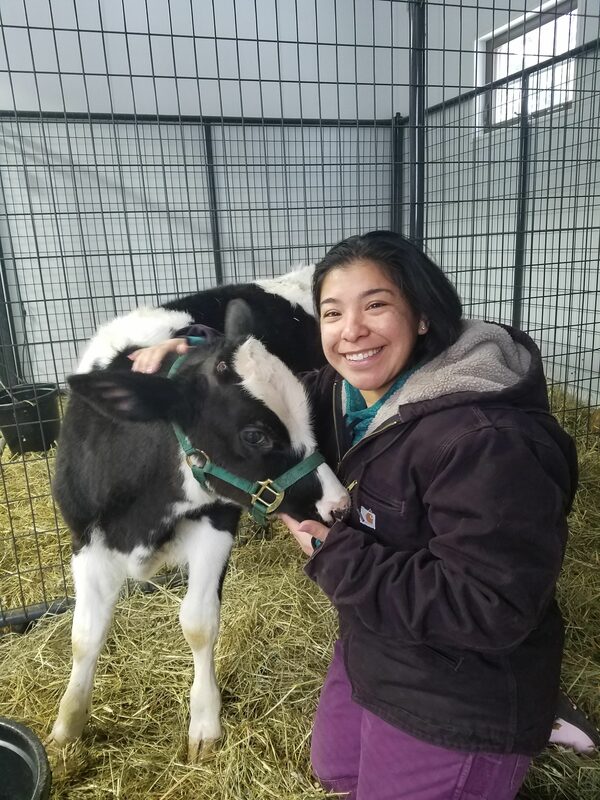 While attending Nonnewaug, she accomplished her certification as a veterinary assistant through Texas A & M. She is currently attending Iowa State University to pursue her interest in animal science. Dominick has been with Country Companions sine July of 2018 a a hospital attendant. He is currently attending Trumbull High School for Agri-science and an active member of Trumbull FFA, where he serves as a team officer. On his time off, he enjoys tending to his backyard multi diverse avian flock and spending time with his two Dogs Buck and Mocha. Jennifer is currently attending Nonnewaug High School and is a member of the FFA program. She is also member of the Litchfield Country 4H goat and sheep club and keeps her animals at her family farm. She has breed beta fish successfully and loves spending time with her four amazing dogs, Chase, Sparkles, Midnight and Benji. 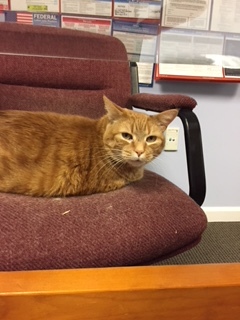 Max is our new orange feline addition to the staff. He is a little shy and likes to lay in the cat tree catching a ray of sun through most of the day. He is slowly become friends with Eddie and you can catch them running around the office in evening. Chewing on cords to the window blinds. Eddie has been at the hospital since 2013. You can find him lounging in many places so keep your eyes open. He has been known to pop out of cabinets during exams and run down hallways with bags of cat treats. Norton had been at the hospital since 2012. He was loved by so many, we will miss you Nortie! You will always be in our hearts. Stacey and Apache at the 2012 Ride for the Cure. They raised over $1300! Stacey rode for her Nana who is a breast cancer survivor and plans to ride again in 2013. Caesar Augustus. AKA "Sneezy". Stacey's French Bulldog. He goes everywhere with her...including down the aisle at her wedding! 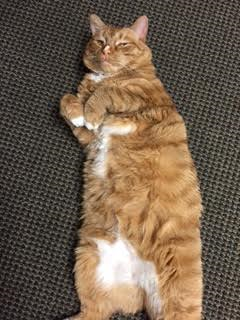 We admit we have an orange kitty problem...This is Edward (Eddie for short). We followed tradition and gave him a Honeymooners name. This little man was also on his way to animal control when Dr. Tracy scooped him up! Three is a crowd, but we wouldn't have it any other way! Our second resident, Norton. This guy was on being surrendered to Animal Control when Stacey fell in love with him and wouldn't let him go! Slim...you guessed it...also Stacey's. This little monster is the epitome of French Bulldog! Stubborn and loyal with selective hearing and obedience. But he makes up for it in personality and snuggles. One of Dr. Tracy's goats.